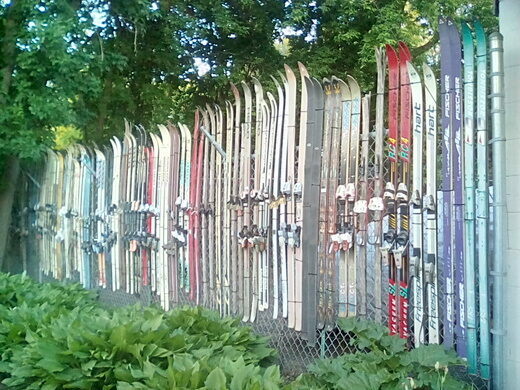 A cruise down Monroe Street may seem pretty bland until you come across Alpine Asphalt’s corner lot and their makeshift fence constructed completely out of colorful old skis. 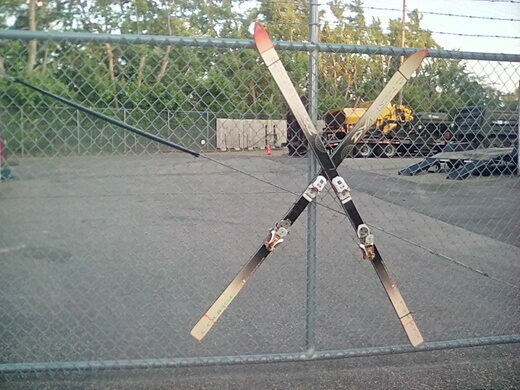 Why would someone make a fence out of skis, you ask? Well, aside from just being a generally weird and awesome design element to an otherwise boring property, owners Brian Reid and Paul Weseman are both avid skiers, hence the “alpine” reference in their company’s name. 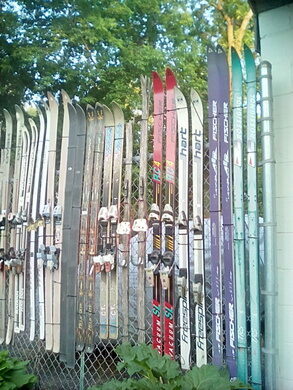 Stroll the front perimeter of the property and admire the interesting designs and color schemes of the vintage skis that make up Reid and Weseman’s collection. Stop into the office to learn more about the fascinating world of paving…or just say hi! 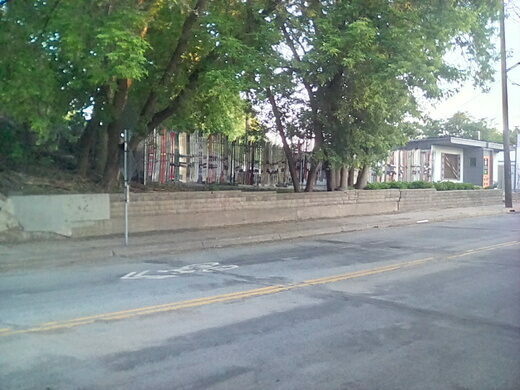 From downtown, get the route 10 bus and get off at NE 19th Ave and Central.